*All forecasts are consensus, annual, global sales estimates for 2019, as compiled by Thomson Reuters Cortellis, except where indicated otherwise. ‡The sofosbuvir sales estimates are for 2018. §The afatinib sales forecasts are from BioMedTracker, for 2018. ||The alogliptin sales forecast is for 2017, after which the drug is forecast to lose blockbuster status. １. Mullard,Asher. 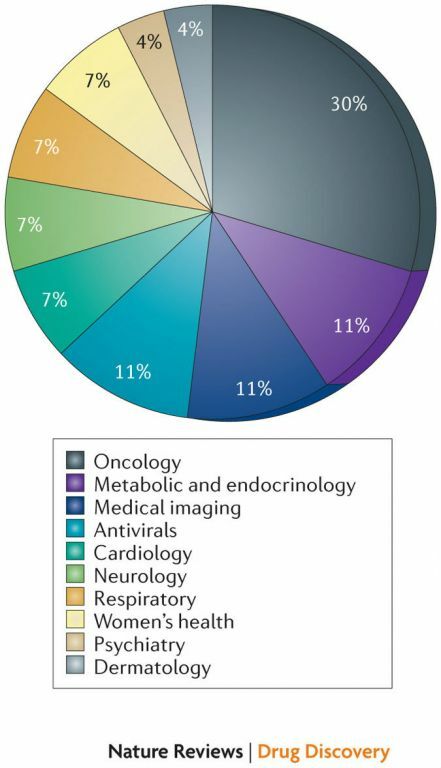 "2013 FDA drug approvals." Nature Reviews Drug Discovery13.2(2014): 85-89.